2 Arrested in Killing of 9-Year-Old Anaheim Girl Who Was Shot While Playing in Front Yard. Two men have been arrested in connection with the death of a 9-year-old girl who was shot earlier this week while playing in front of her apartment complex in Anaheim, police announced Saturday. 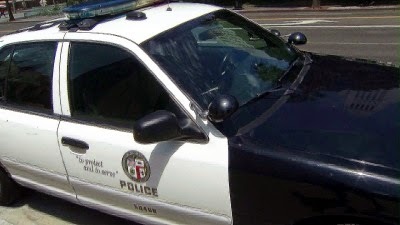 Police took 19-year-old Ricardo Cruz of Buena Park and 20-year-old Alfredo Miguel Aquino of Anaheim into custody shortly after 11 p.m. Friday in connection with Ximena Meza’s killing, according the to a news release from the Anaheim Police Department. Each was booked on a murder charge. Meza died Wednesday night after being struck once in the chest by gunfire while playing with her sisters in the 2300 block of West Greenacre Avenue (map) Wednesday, according to police. A witness told KTLA that immediately after the shooting, the girl’s anguished father, William Meza, held his daughter and begged God to let her live. Another witness intervened and tried to give her CPR before emergency personnel arrived at the scene. Meza was rushed by paramedics to a local hospital, where she was later pronounced dead. Based on information from the preliminary investigation, police believed the little girl was the unintended victim of a gang shooting, and that the targets were a group of men who were congregated near the area where the children played. A day after the shooting, Anaheim police had offered a $50,000 reward for information leading to an arrests and conviction in the case. 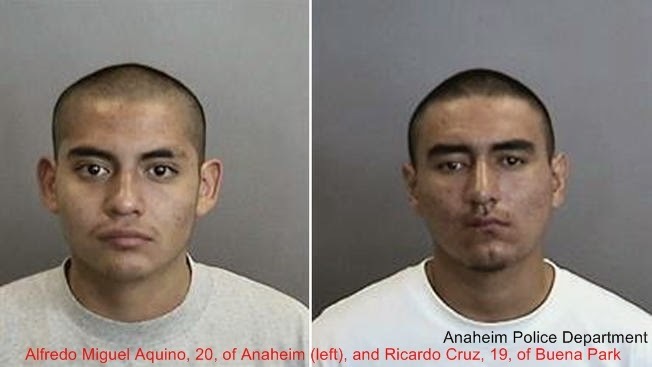 No details have been released about the arrests, but police were expected to discuss them at a news conference scheduled for 2 p.m.
Cruz and Aquino were each being held on 1 million dollars bail at the Anaheim Police Department Temporary Detention Facility, according to the release.